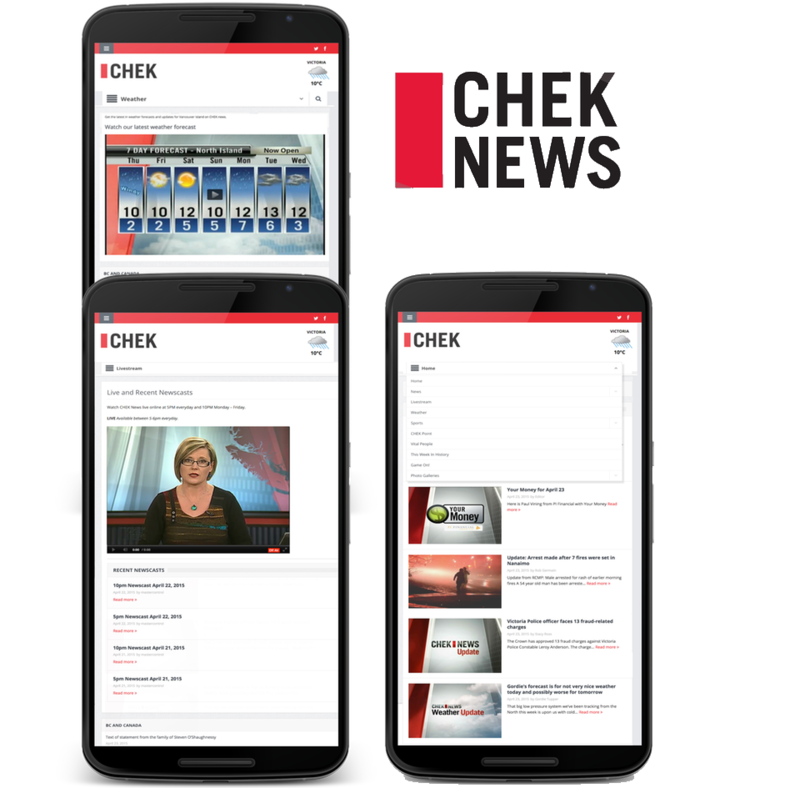 CHEK News is working with 14 Oranges in the delivery of their website and mobile application. The app allows their audience to access local news and information on-the-go, including breaking news, top stories, weather, sports, local events and more. Local TV stations are exploring more ways to get in front of their audience, and provide value in a timely fashion. This includes the support for push notifications, and the integration of social media feeds such as Facebook instant articles and Google AMP.